A new dating technique has revised the estimated age of Little Foot from 2.2 million to 3.6 million years ago. That’s significant because it places the rare Australopithecus fossil within the same evolutionary timeframe as Lucy, a hominid from a separate species. Meaning humans may not be related to Lucy after all. Top image: Professor Ronald Clarke and Little Foot: Reuters/WITS University. The nearly-complete skeletal remains of Little Foot, an ancient female hominid named after its four small foot bones, were uncovered in South Africa’s Sterkfontein Cave over 20 years ago. Scientists have been debating the age of the Australopithecus fossil ever since, with consensus settling around the 2.2 million year mark. But now, a sophisticated new dating technique, called isochron burial dating, suggests the fossil is 3.67 million years old — give or take an incredibly small margin of 160,000 years. By using radioisotopes within the rock samples covering the remains, the scientists were able to accurately date when the rocks and the fossil were first buried. 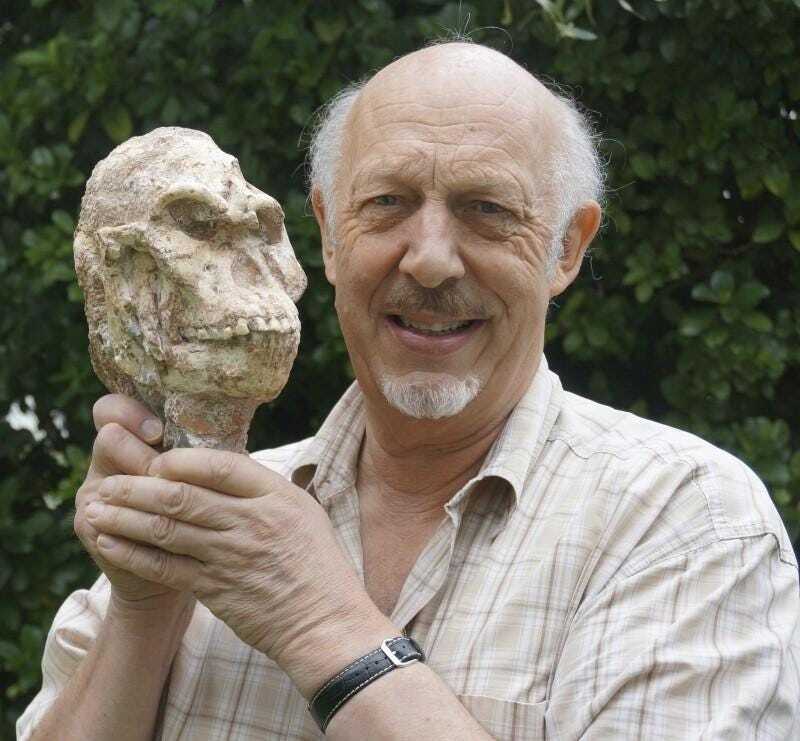 The analysis of the 11 rock samples found near the site where Little Foot was found was conducted by a team of Purdue University and Wits University scientists headed by Darryl Granger, Kathy Kuman, and Ronald Clarke. Their results now appear in Nature. The study indicates that Little Foot, a member of the species Australopithecus prometheus, lived at roughly the same time as Australopithecus afarensis — the species made famous by the Lucy fossil, which was found in Ethiopia. The new date of Little Foot suggests that A. afarensis was not the only hominid species that could have given rise to the Homo genus, the genus that we ourselves belong to. Read the entire study at Nature: “New cosmogenic burial ages for Sterkfontein Member 2 Australopithecus and Member 5 Oldowan”.